KUALA LUMPUR, MALAYSIA – February, 2017 – Marriott International and Rajawali Group are pleased to announce the appointment of Michelle Caporicci to the position of Managing Director. Caporicci will be overseeing two resorts within the group and a convention centre; The St. Regis Langkawi, The Westin Langkawi Resort and Spa and The Langkawi International Convention Centre (LICC). Caporicci will be leading strategic direction for the business and overseeing the growth of the brands to propel the organisation forward. With more than 20 years of experience in various high profile positions, Caporicci started her career in 1995 as a Catering Manager for Long Beach Marriott Hotel. Her continued dedication earned her a steadfast promotion to Director of Catering & Conference Services at The Ritz-Carlton, Laguna Niguel. In 2004, Michelle was appointed as Corporate Senior Director for Meetings and Special Events based in Maryland, USA. Michelle subsequently moved to Asia Pacific in 2008 and was appointed the Hotel Manager of The Portman Ritz-Carlton, Shanghai and in 2009 she was promoted to General Manager at The Ritz-Carlton, Guangzhou. 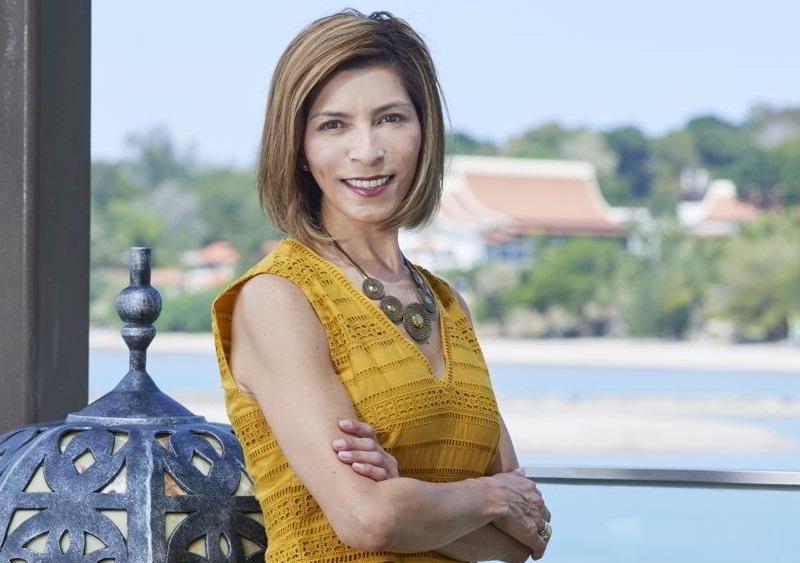 In her most recent tenure as Regional Vice President, Sales & Marketing for The Ritz Carlton, Asia Pacific, Michelle oversaw 26 hotels in 8 countries and was responsible for US$1 billion in top line revenue. She opened 9 hotels; positioning some of the most iconic global hotels such as The Ritz- Carlton, Kyoto and Mandapa, A Ritz-Carlton Reserve. Her proven track record and leadership achieved Market Share Growth and a RevPAR Index above 150%+ for comp hotels in the last 5 years consecutively. Other performance highlights include her contribution towards the growth of both group and non-qualified mix for comp hotels. Caporicci was also instrumental on the successful implementation of various key initiatives like the Elevated Experience Campaign, Scenography and Ritz Kids Night Safari Program, Source to Table Campaign and Storytelling. Not just a driving force in business, Caporicci was also committed to developing talent within the organisation through her involvement in implementing the Director of Sales and Marketing Resource School in Asia Pacific for The Ritz-Carlton brand. When not penning strategic plans or measuring sales goals, Caporicci is a Yoga enthusiast who enjoys Yoga retreats and solo travels. She also enjoys a good dose of retail therapy. Combining classic sophistication with a modern sensibility, St. Regis is committed to delivering exceptional experiences at over 35 luxury hotels and resorts in the best addresses around the world. Since the opening of the first St. Regis hotel in New York City over a century ago by John Jacob Astor IV, the brand has remained committed to an uncompromising level of bespoke and anticipatory service for all of its guests, delivered flawlessly by signature St. Regis Butler Service. Starwood’s ultra-luxury brand is set to expand its legacy to 50 hotels by 2020. For more information and new openings, visit www.stregis.com or follow Twitter, Instagram and Facebook.